Hi! Cara and I are the trip coordinators for this Farmers Helping Farmers Kenya 2015 Youth Trip. I live in North Tryon, although I grew up in both Lennoxville, Quebec and Hampton, New Brunswick. My husband, Mark, and I have three children. Alec, 19, who is currently teaching ski lessons at Whistler Blackcomb in British Columbia. Tessa, 17, a grade 12 student at Bluefield High School, who I am happy to say will be travelling with me to Kenya. Andrew, 11, a grade 6 student at Englewood School. We operate a conventional and organic potato, grain, beef and sheep farm with Mark’s parents, Lester and Sharon, and his brother and sister-in-law, Brent and Lauren. 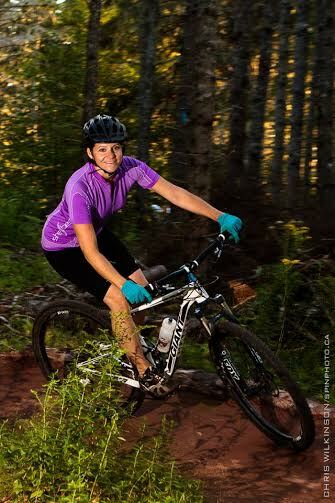 I am an avid mountain biker, and member of the Cycling PEI Rigid Riders Mountain Bike Club. It is with great anticipation that I am making this dream of a Farmers Helping Farmers trip to Kenya come true. Seven years ago, I contacted Farmers Helping Farmers in order to begin a school twinning project. I teach math at Three Oaks Senior High in Summerside, and was hoping to create an extra-curricular club to promote global awareness. We have been twinned with Ndunyu Secondary School (now called Buuri Secondary School) for six great years. The TOSH People Helping People club meets every Wednesday at noon to learn more about Kenya, Buuri Secondary School and to plan events and fundraisers. Our students write letters twice per year, many of them keeping the same penpal over their high school career. One of my former students still keeps in contact with her Kenya twin via Facebook two years after she graduated. I have been corresponding with a teacher at Buuri, and am so excited to finally get the chance to meet him this July! In addition to the corresponding, we have also done fundraising to help Buuri School build more classrooms and a science lab, get additional latrines, a school garden, books, mosquito nets, calculators, and water tanks. Our main fundraiser is our Annual 5 and 10 Mile run, held at Three Oaks on the third Saturday in September each year. With our assistance and that of Farmers Helping Farmers and the Souris Village Feast, the pictures I receive from Kenya have show tremendous structural progress at our twinned school over the years. Additionally, Buuri now has close to 300 students. That is huge growth from the 93 students who started seven years ago! Cara DeCoste and I were lucky to lead two amazing groups of youth to Ecuador in 2011 and 2013 with the Canadian organization, Free the Children. These “trips” were truly life-changing for the participants and myself. I have always been cognizant of environmental and global issues, but have never felt that I do enough in my personal life. Although I have learned there is always more that can be done, these trips have shown me that little changes and the right attitude can make all the difference. One of the best lessons I learned, was to turn guilt into gratitude. Be grateful for what you have, and share what you can with others! Most significantly, I realized that providing the opportunity for other youth to travel to developing countries, volunteer their time and talents, and experience different cultures is one way I can make a difference. It is my hope these youth will take what they experience in Kenya to help lead them in their future lives. I believe that volunteering (both home and abroad) not only makes other’s lives better, it improves your own life. Hi! 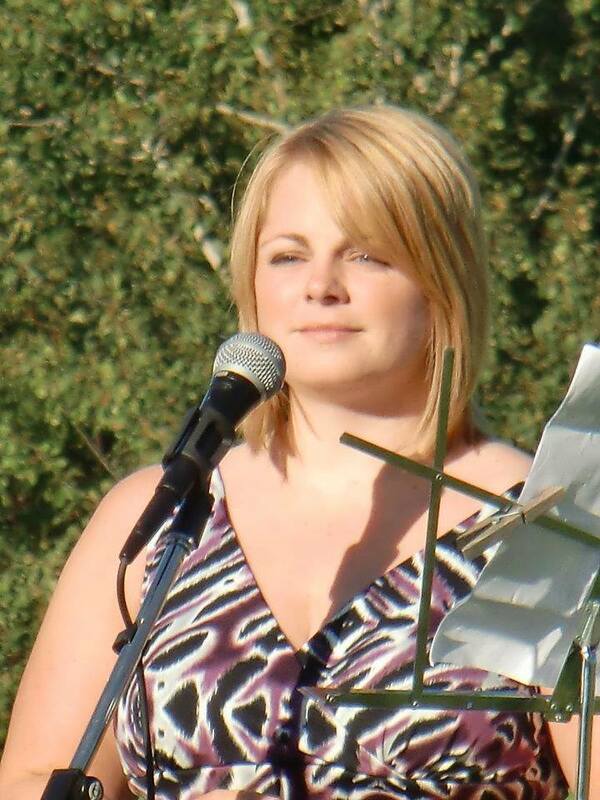 My name is Cara DeCoste and I am one of the Trip Coordinators for the Farmers Helping Farmers Kenya 2015 Youth Trip. I am very excited to be working closely with Farmers Helping Farmers board members and Tammy Craig to plan this trip. It really is a dream come true! I am from Havre Boucher, Nova Scotia and I am in my 10th year living on the Island. I came to PEI to teach and work with youth, and currently I am working as a school counsellor at Athena Consolidated School. Last year I worked at Kinkora Regional High School as their school counsellor and a math teacher. Before that I taught math at Three Oaks Senior High since arriving on the Island in 2005. I have been on my own Atlantic University tour. My first degree was a Bachelor of Science (Math) at St. Francis Xavier. My second degree, B.Ed., was earned in St. John’s at Memorial University of Newfoundland, and I attained a Masters degree in Counselling from the University of New Brunswick. I greatly enjoyed all my university experiences, but St. F.X. holds a special place in my heart. In addition to graduating in 2002, I also worked there as a Residence Assistant when I was a student, and professionally, as a Residence Life Coordinator, once I graduated. In 2011 and 2013 I travelled to Ecuador on Voluntours offered by Me to We. Tammy Craig and I travelled with 15 Island students in 2011 and worked on the construction of classrooms in Llullin. In 2013 we travelled with 14 Island students to work on a water project in Gulahuayco. It felt fantastic to assist these communities with their projects, and to tour parts of this beautiful country. The Me to We facilitators did a fantastic job of supporting us on this educational journey. My experiences in Ecuador have encouraged me to challenge the notion that there is “only one way to do things”, and helped me to recognize the power of gratitude and opportunity. When Tammy suggested that she would love to visit the school Three Oaks is twinned with in Kenya, Ndunyu Secondary School, I was immediately on board. Thanks to the vision and efforts of Farmers Helping Farmers board members, the idea for a trip has become a reality. I am excited to travel to Kenya in July with an awesome group of Island youth and adults. I look forward to seeing Kenyan schools, a church service, an elephant orphanage, and much more. I am ecstatic about the opportunity to work on community projects and volunteer with the Muchui Women’s Group and a local orphanage. I anticipate that these activities, along with completing a safari, experiencing a new culture, and making new friends, will help me grow as a person. Providing reflective and learning activities to assist the participants with getting the most out of this unique travel opportunity is a challenge for which I have been waiting. Is it July yet???? I don’t fall into the 16-22 age group! But I have a very special reason for wanting to be part of the P.E.I. Kenya Youth Tour 2015. In April 2014, my son Tristan and I kicked off a fundraising campaign to build a classroom in Kenya in honour of Tristan’s brother and my son, Callum Russell MacLean. Callum was diagnosed with cancer when he was 14. He went through a year of chemotherapy and radiation and was given the “all clear”. He was just entering the second semester of Grade 10 when we found out that the cancer was back. He passed away 6 weeks later in April 2013. Tristan and I wanted a project that would make a tangible difference in the lives of young people. When my boys were younger, they raised money through their Sunday School to purchase mosquito nets for kids in Kenya, through Farmers Helping Farmers. When we found out that FHF also built classrooms, it seemed like the perfect fit. Since we started in April 2014, Tristan and I, with the help of family, friends and the community, have raised enough money to build THREE classrooms at Kamuketha School. The school now has a “modern” classroom for every grade level, including the nursery, or kindergarten students. That doesn’t necessarily mean “modern” by our standards. There is still no electricity. But they have walls that don’t let the rain in, a real floor, and doors and windows. These are much appreciated by the students at Kamuketha School. Besides being a mom to Callum and Tristan, I am also a long-time employee of CBC Radio. I have worked for CBC in Whitehorse, Winnipeg, Toronto and Charlottetown. I have reported from the 1994 Lillehammer Olympics, Wimbledon, Russia and Ukraine. I am also a published author of novels for young adults, including “Rink of Dreams” which is a Canadian bestseller. I also have a B Ed from the University of Prince Edward Island. And most recently, I became a certified yoga instructor. I’m hoping to do some yoga with the group in Kenya! I feel very privileged to get the opportunity to travel to Kenya with Tristan and the rest of the group. I look forward to sharing our experiences here on the blog. An Island family with deep roots in Farmers Helping Farmers will see a second generation travel to Kenya this month. The origin of Farmers Helping Farmers reaches back to 1979, when CIDA organized an international farm consultation across Canada, including a session on Prince Edward Island. Delegates from 30 countries were paired up with 30 P.E.I. families, and the visitors were billeted with their Island hosts, including Barry and Ellen Cudmore. In 1979, Barry Cudmore had recently returned to farming, starting up a hog and potato farm on family property in Brackley Beach. At the time, farming was new to Ellen. Barry became deeply involved in the International Family Farm Consultation – travelling to sessions in Saskatchewan and Quebec City before the group arrived on P.E.I. After the visitors returned home, the Island farmers met for a follow-up to the conference. Inspired by the experience, a group of them decided they would like to see what farming was like in a developing country. It was January 1981 that 22 Island farmers travelled to Kenya for the first time. They spent 6 weeks, visiting Kenyan farms and meeting with farmers. The P.E.I. delegation covered a lot of ground during the 6 week visit. They traveled through Kenya, through Zambia to Tanzania. Ellen Cudmore says that trip to Kenya, 35 years ago, laid the groundwork for Farmers Helping Farmers. Over the last 35 years, the Cudmores have seen the difference their group has made. Farmers Helping Farmers has carried out hundreds of development projects in both Kenya and Tanzania. The dollar value of those projects since 1980 exceeds $10 million Canadian, including funds contributed by CIDA. These projects are estimated to have touched the lives of at least 100,000 people in East Africa. Now the Cudmore family’s connection to Kenya has come full circle. 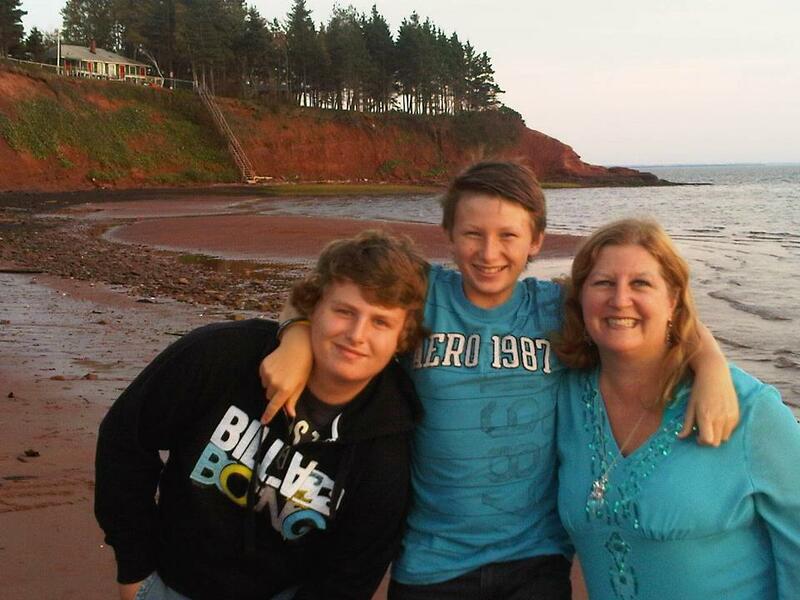 Barry and Ellen’s son Peter is travelling to Kenya as part of UPEI’s Bachelor of Education program. Peter Cudmore grew up living his family’s involvement in Farmers Helping Farmers. His family often hosted visitors from Kenya. His parents have also been the driving forces behind a popular barbeque every August at the Harrington Research Station. They started with a crowd of about 100. Now the barbeque attracts as many as 700 every summer. “As soon as I could carry a chair, I worked at the barbeque,” recalls Peter Cudmore. Besides learning how to cook steak, Peter Cudmore has also learned about Kenya. Now Peter Cudmore is travelling to Kenya with two other pre-service teachers from the Education program at UPEI. They will be in Africa for 6 weeks, returning at Easter. This is the 10th year that students from the Island university are teaching in Kenya, in partnership with Farmers Helping Farmers. They did not send anyone in 2008 and 2011 due to election issues. Other pre-service teachers from UPEI are going to Sweden, France, China, New Zealand, Argentina, Japan, Costa Rica and St Vincent & The Grenadines. Carolyn Francis coordinates the international visits for UPEI’s Faculty of Education. She is also the president of Farmers Helping Farmers. She says that since 2004, more than 30 students have had the opportunity to complete a 6 week practice teaching experience in rural Kenyan schools. Peter Cudmore has seen first-hand the benefits of his family’s work in Kenya through Farmers Helping Farmers. Ellen Cudmore is more modest – but also proud of the work that Farmers Helping Farmers has done. Barry Cudmore says Farmers Helping Farmers proves that change comes from small groups of committed people.